We are delighted to announce the signing of talented midfielder Nassim Dukali. 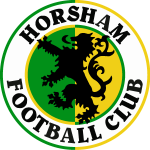 The twenty-three year old put in a Man of the Match display for Herne Bay in their FA Cup success over Horsham last season before making the switch to Greenwich Borough, from whom he put pen to paper to sign for Lewes back in May. Unable to secure a regular starting place with the Rooks, he joined Thamesmead Town in September and scored a hat-trick against Sittingbourne on his debut, only to find himself without a club when Town were put into liquidation earlier this month. Nassim has also played for Dulwich Hamlet, Guildford City and Egham Town. Welcome, Nassim.